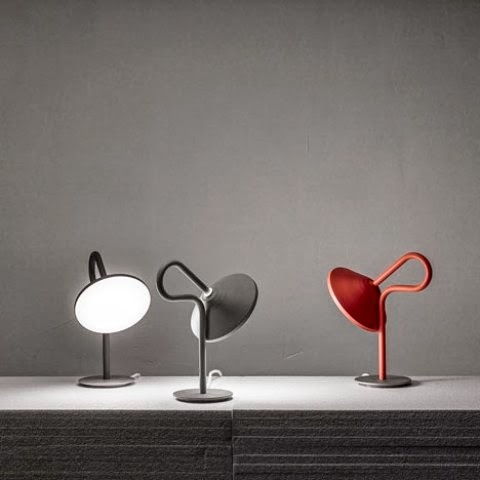 To get an original lamp it’s not necessary to use some crazy materials or unreal combinations – a cool details is sufficient. 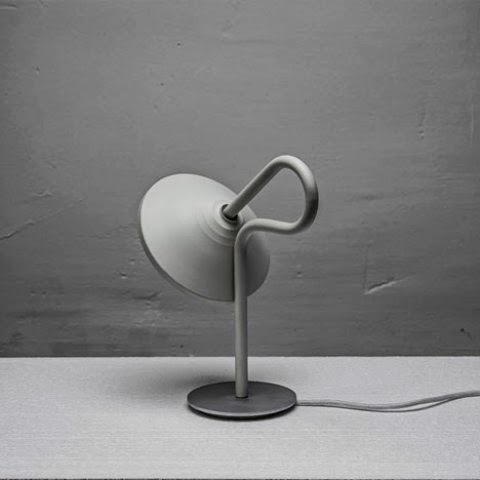 In this Round lamp the original detail is the stem – it forms an exaggerated loop behind the conical shade. 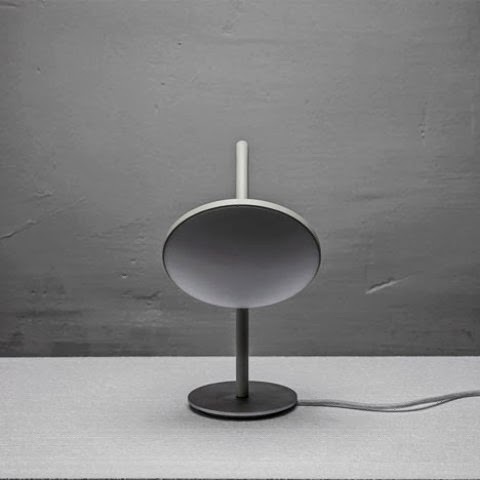 There is also a wide shallow shade mounted at a 45 degree angle on the end of the curving steel tube. 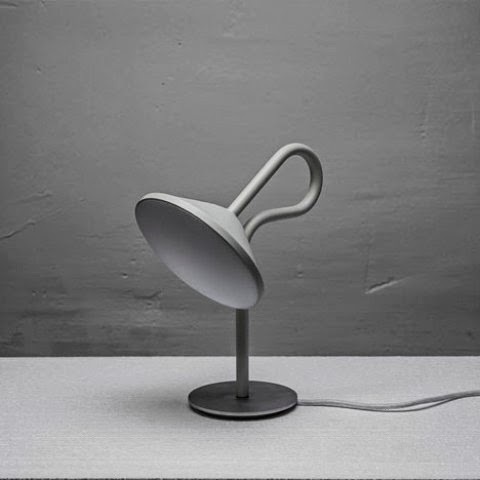 The gently shaped steel tube could be described as the centrepiece of the lamp because on the one hand it pictures the flow of the current all the way up from the base to the light source within the shade. 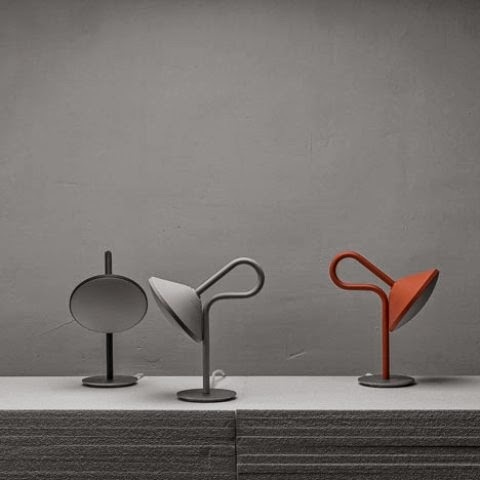 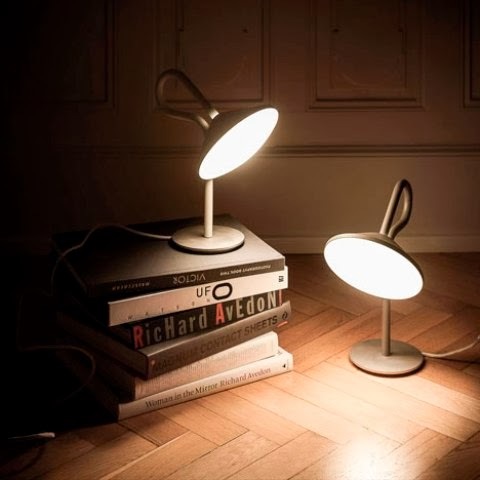 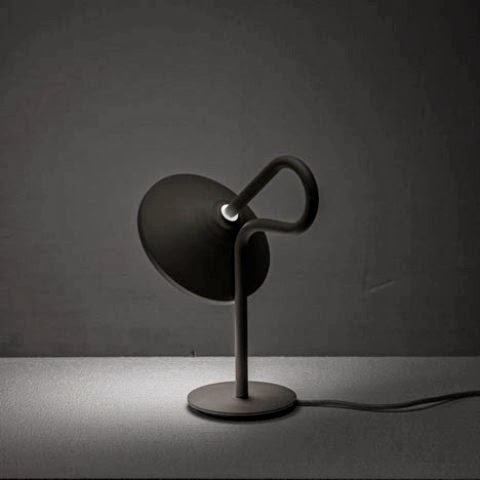 The loop provides a handle-like geometry for easily moving the lamp – functional and cool-looking at the same time. 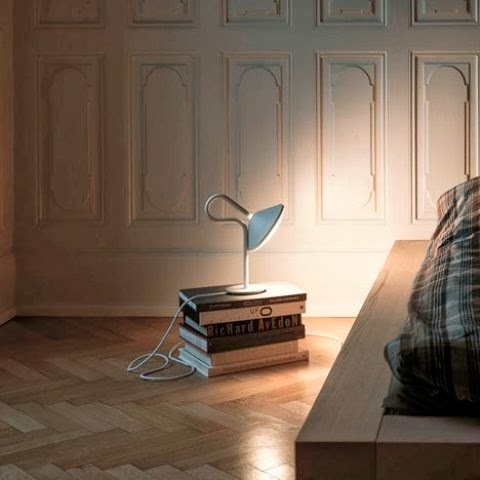 An acrylic diffuser covers the light source and emits a wide beam of light suitable for bedside reading or working at a desk.